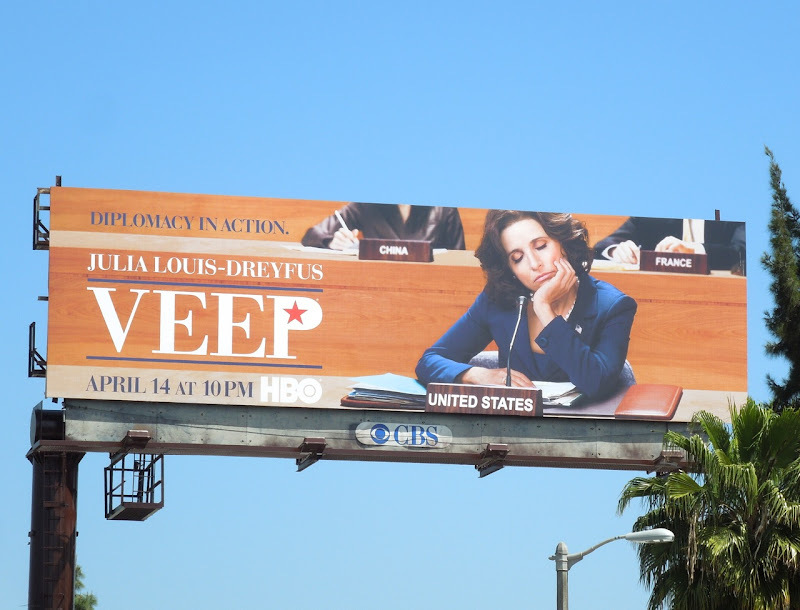 Anyone who's seen Julia Louis-Dreyfus as the slightly inept Vice President will totally appreciate these billboards for the second season of HBO's Veep. This is her style of 'Diplomacy in action' indeed and there's no wonder that this funny lady took home the Emmy for Outstanding Lead Actress in a Comedy Series for her portrayal as 'Selina Meyer'. 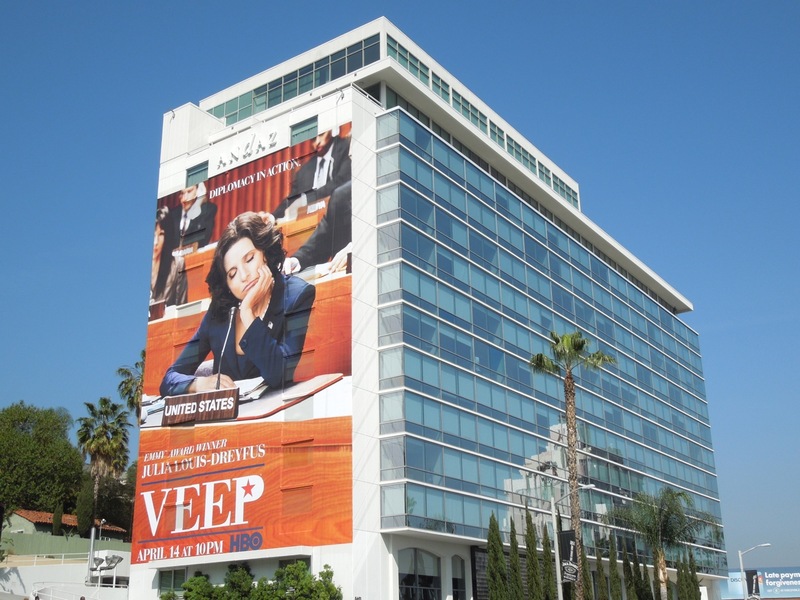 Let's face it though, this actress is no stranger to comedy, having starred on shows like Seinfeld and The New Adventures of Old Christine and taken home Golden Globes, Emmys and SAG Awards by the bag full already. 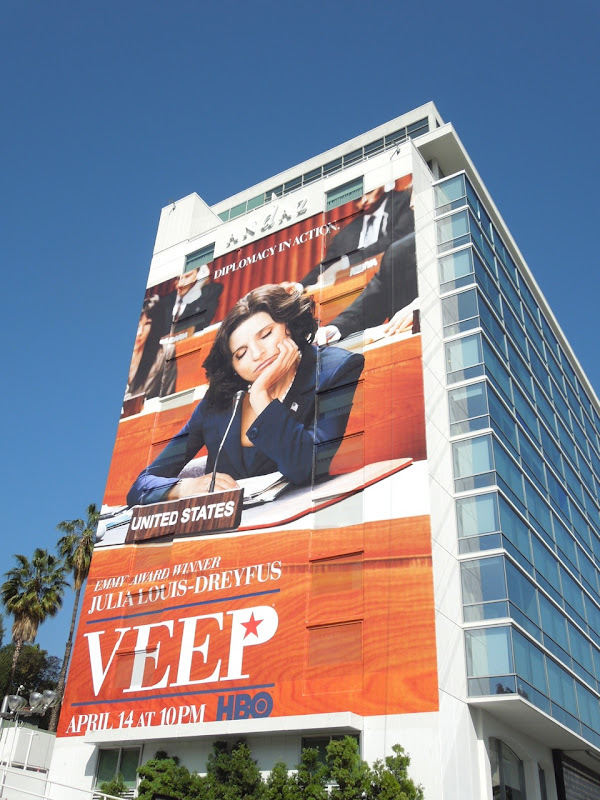 Hopefully season two will be full of the usual political faux pas and Washington power game shenanigans involving the female Vice President and her hilarious staff that we've all come to expect and enjoy (plus let's hope this season the President does finally call and leave a message for her with her Executive Assistant 'Sue'). 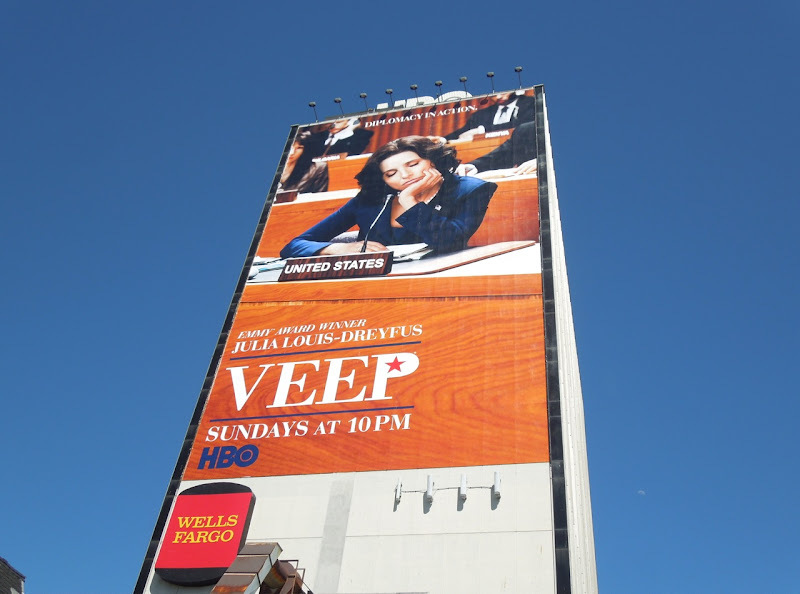 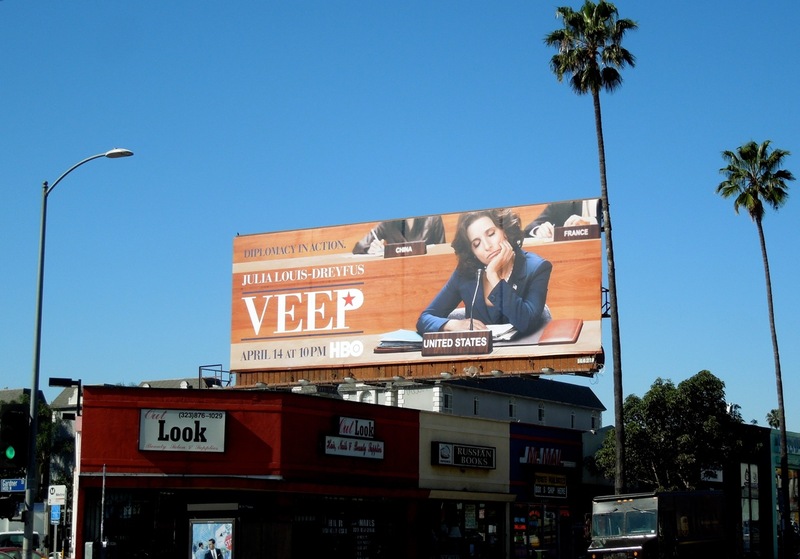 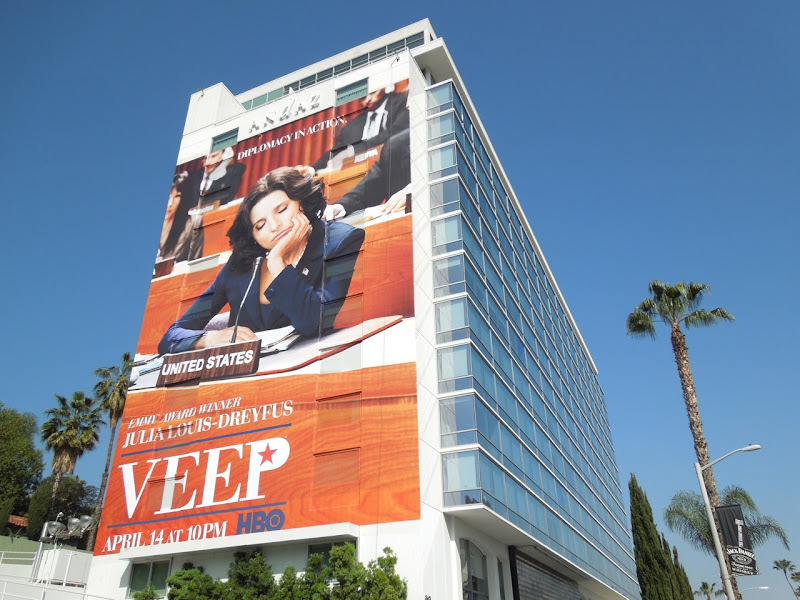 This fun giant-sized billboard for the sophomore season of Veep was photographed on the side of West Hollywood's Andaz Hotel on March 15, whilst the landscape creative was snapped further east along Sunset Boulevard on March 13, 2013. 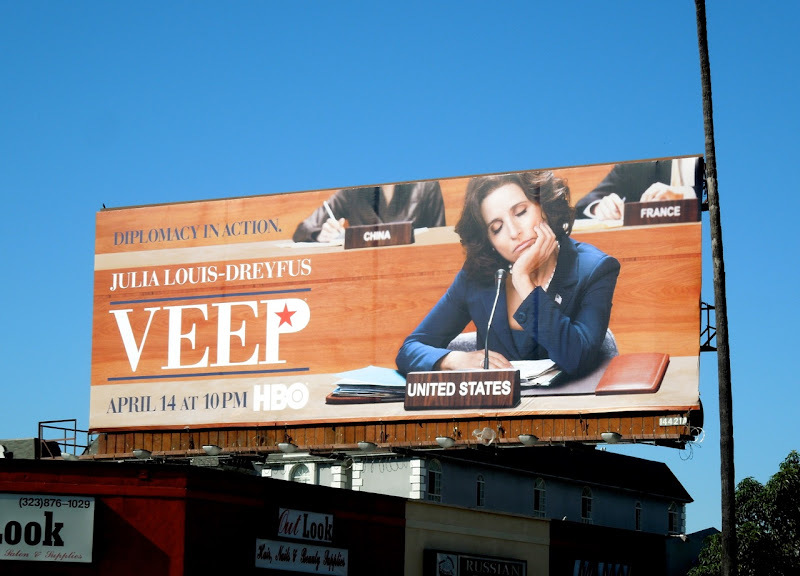 If you like these ads, be sure to check out the season one billboards for Veep from last April. 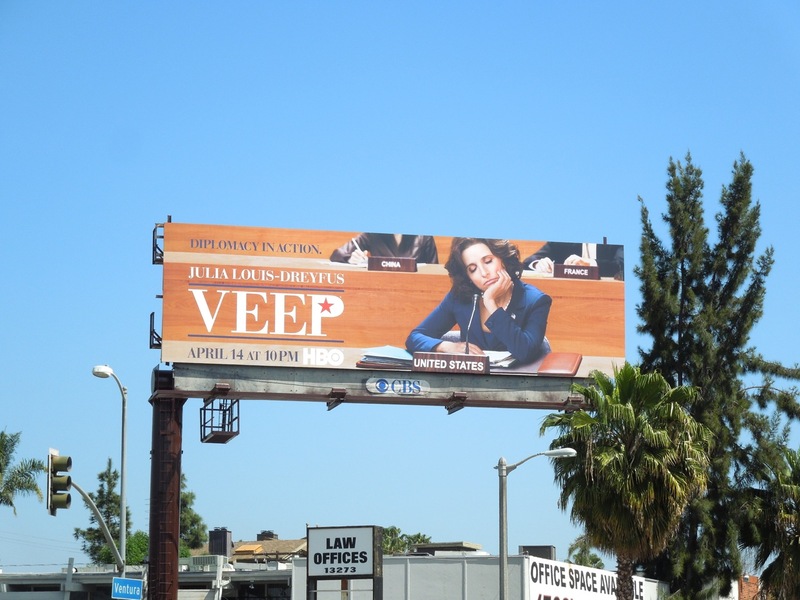 UPDATED: Here's another look at one of the landscape billboards spotted along Ventura Boulevard in Studio City on March 29, 2013. 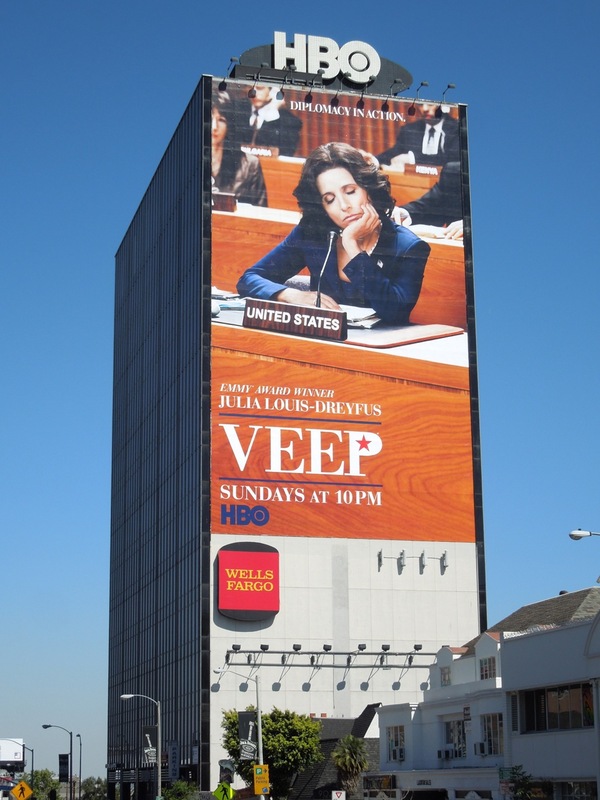 UPDATED: Obviously one giant-sized billboard wasn't enough for this Vice President, as Veep gets another super-sized creative to tower further west over L.A.'s Sunset Strip. 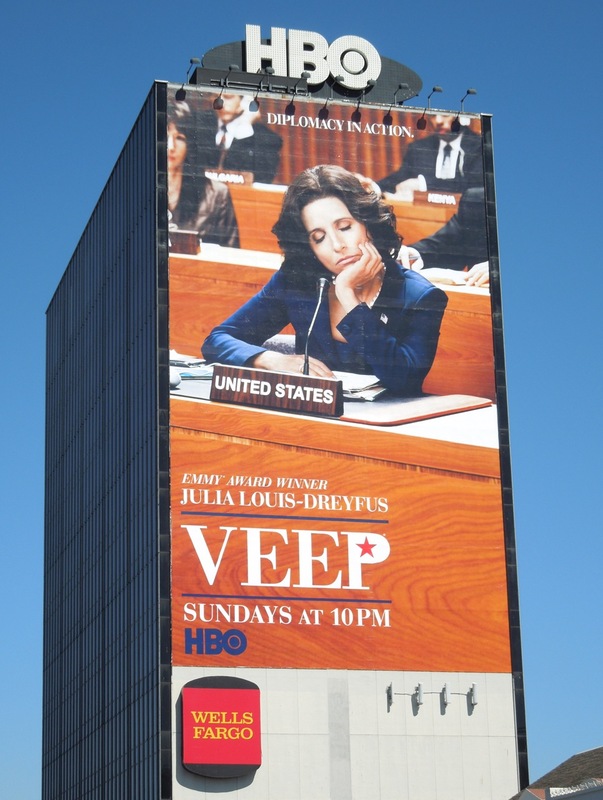 Just as the ad on the side of the Andaz Hotel disappears, this new one springs up in HBO's regular billboard site and was snapped on April 18, 2013. 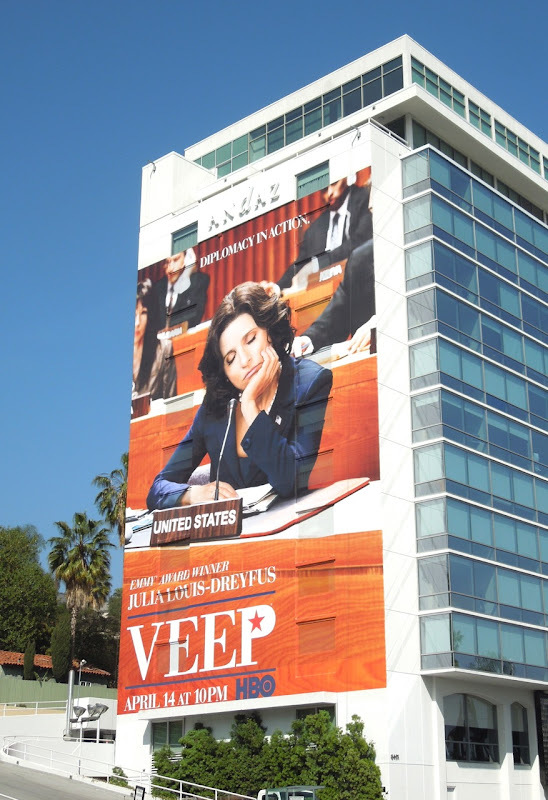 UPDATED: Here's a slightly amended billboard for the second season of Veep snapped along Sunset Boulevard on May 29, 2013. 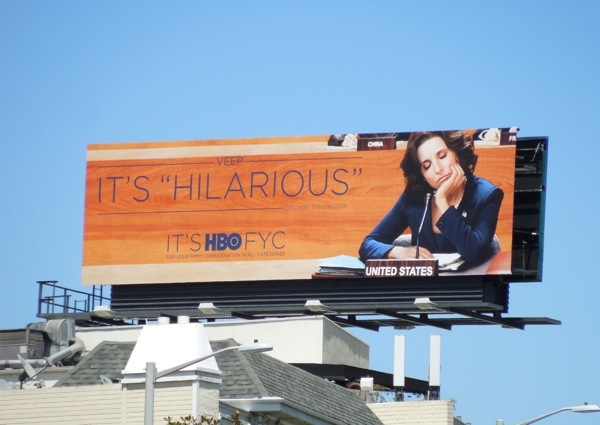 This time it's part of HBO's Emmy Consideration campaign for the hilarious show.